Please welcome Lars Guignard to Rachelle's Window. Lars is a writer of all things exciting. How old were you when you first started writing for yourself? What was your first story about? I think everyone who works as a writer probably started writing in grade school, stories and the like. I did that, but I first started writing in a professional, I'd like to get paid for this sense, when I was in college. I thought it would be a fun way to earn a living. My first story was a a kind of coming of age drama called Year of the Chicken. If I'm going to be honest, it was about me and my friends doing increasingly crazy things until the bottom fell out and things got truly out of hand. I guess you could call it a coming of age tale -- with poultry. Yes, that sounds about what a college guy would write. What kind of training did you have as a writer? I have pretty significant training as a writer. I attended the conservatory of the American Film Institute in Los Angeles where I earned an MFA in screenwriting. Carl Gottlieb, the screenwriter of Jaws was my mentor. We did a lot of work on things like story structure for film and the like. Screenwriting teaches you to be very precise and efficient in saying what you need to say because you don't have a lot of time to get your point across -- in fact its measured in minutes and each of those minutes cost hundreds of thousands, potentially millions of dollars. I can see how working as a screenwriter would motivate you to tighten your script. When you turned your attention to writing books, how did those formats translate for you? What was the biggest challenge? The biggest advantage? Strangely, the length of the format doesn't change things that much. You're still dealing with a beginning, middle, and end. It's just a question of how much story you can squeeze inside the box. There are a lot of 120-minute movies that, story-wise, could fit into a half-hour format and remember you're talking about 22 minutes of screen time there. The biggest challenge with books is that it's up to the author to flesh everything out -- the little details that an actor would bring to a performance can't be inferred as they are in a screenplay, they need to be on the page. The biggest advantage I personally took from screenwriting is the solid sense of story structure you need to develop to practice your craft. If that same discipline and structure can be applied to a book, I think you'll get something where the plot moves along nicely and doesn't bore the reader. I guess the main thing you learn is that time is precious. If what you're saying doesn't serve the story, you cut it. That is actually a great lesson to have. I noticed you have series in 3 different genres: Spy Thriller, Paranormal Horror Detective, and Middle-Grade Magic Adventure. Can you talk about each title briefly and describe what inspired you to write that book. My first book Lethal Circuit was inspired by two events -- a trip I took to China and a person I knew who joined the CIA, but, obviously couldn't tell anyone about it. When I combined those elements I realized that I had a spy story set in an exotic foreign land. After that, it practically wrote itself. So Lethal Circuit, as I mentioned, was inspired by a trip that I took to Hong Kong where I actually ended up extending my stay and living there for a few months. The plot hinges around a backpacker who goes to China to find his missing father. The situation quickly turns critical from there. 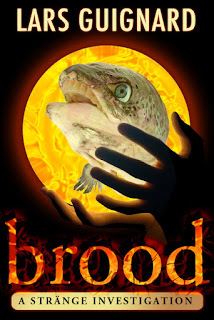 Brood, a paranormal thriller was inspired by a summer job I had out in the middle of nowhere in northern British Columbia working on a fish farm, which is basically a big metal island of fish pens anchored in the ocean. 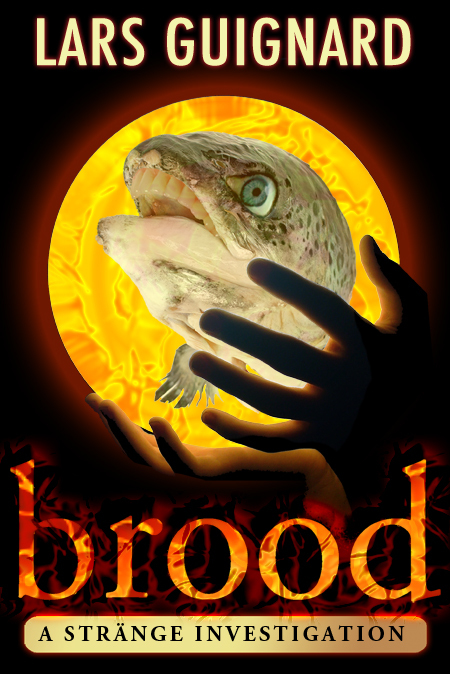 Brood is about the search for a missing scientist in that wilderness, and the frightening conspiracy of his disappearance which is ultimately brought to light. Ghost Leopard was inspired by the boarding school I attended in India -- a truly magical, crazy place way up in the Himalayas. 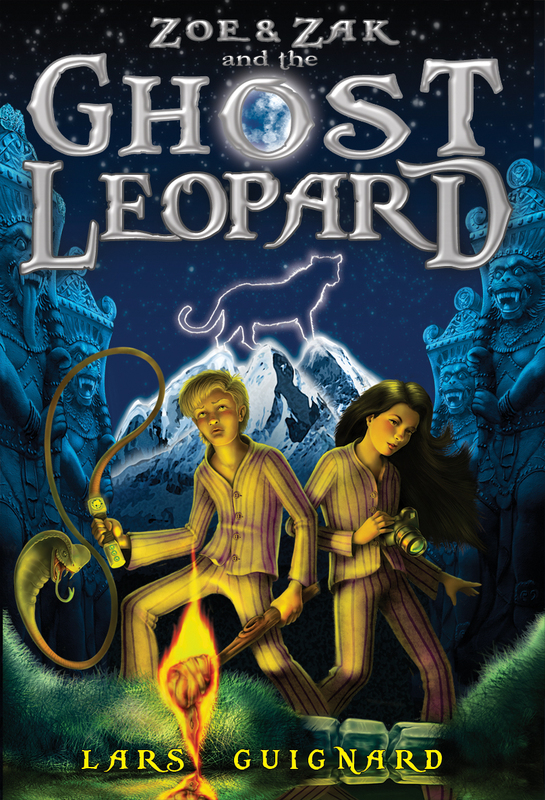 Ghost Leopard is about two kids, Zoe and Zak, who tag along on a business trip to India with their parents where they get recruited by a snake charmer to save a mythical beast. Zoe and Zak end up going on a crazy adventure with flying carpets and talking elephants and the like, high in the mountains, where they ultimately end up saving the world. Incredible. Three series in different genres. I shouldn't ask, but do you have a favorite genre? What is easiest to write? I don't have a favorite genre, so much as a favorite style. I like stories that move. Stories that have a lot of "story" to them. I guess I'm partial to thrillers in that sense, but a thriller for kids like Ghost Leopard is just as interesting to me as a spooky thriller like Brood or an action spy thriller like Lethal Circuit. I am just finishing the final edits on Lethal Circuit's sequel, Blown Circuit right now though, and I will tell you that the action spy thriller poses a special challenge. The kind of plotting required to make a good spy thriller is grueling, probably harder than other genres, but in the end I think it's worth it. I'll bet. You have to make sure all the little pieces tie together, drop clues and keep track of the outcomes. But it's exciting. Thanks for joining us today. I look forward to your guest post on backpacking and spying. I'm sure a leisurely hike will never be the same again.